Chinese foreign ministry spokeswoman Hua Chunying. The Chinese government has bluntly demanded Canada and the United States abandon extradition proceedings against a Huawei executive, calling the case against Meng Wanzhou a “serious mistake” and a perversion of justice. 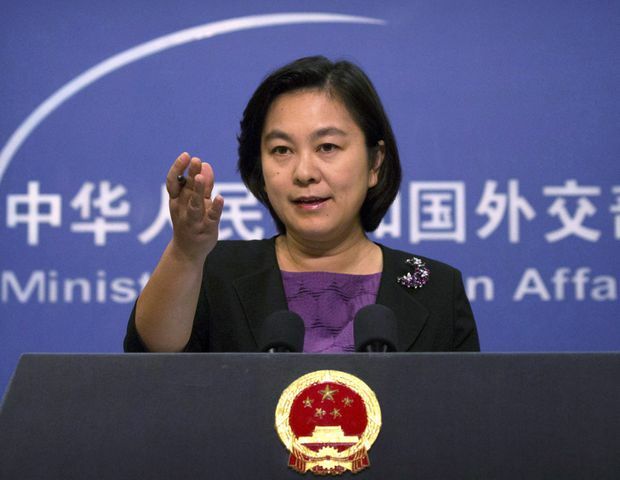 “The Meng Wanzhou case is obviously not an ordinary judicial case,” Chinese Foreign Ministry spokeswoman Hua Chunying said on Tuesday. The United States should “withdraw its arrest order for Ms. Meng Wanzhou and refrain from making a formal extradition request to the Canadian side,” she said, describing the action against Ms. Meng as an arbitrary abuse of the process. It was one of the most strongly worded warnings to date as Beijing’s dispute with Ottawa and Washington worsens. The U.S. Justice Department confirmed on Tuesday that it “will continue to pursue the extradition of defendant Ms. Meng Wanzhou,” according to a statement from spokesman Marc Raimondi. “We greatly appreciate Canada’s continuing support of our mutual efforts to enforce the rule of law,” he added. Ms. Meng has been granted bail in Canada, where she lives in her Vancouver home under the scrutiny of security she must pay for herself as she awaits the next steps in the extradition process. China has repeatedly demanded Ms. Meng’s release, with rhetoric that has grown increasingly bellicose amid efforts by Canadian officials and diplomats to isolate Beijing after Chinese authorities detained two Canadians on national security grounds, and issued a death sentence for a third. In response, Canada has called the detention of former diplomat Michael Kovrig and entrepreneur Michael Spavor arbitrary, and requested clemency for Robert Schellenberg, who was sentenced to death in an unusually quick retrial on charges of international organized drug trafficking. A growing number of countries have publicly supported Canada, including the United States, Britain, the Netherlands, Spain, Germany and France, as well as the European Union. On Monday, 143 scholars, foreign-policy experts and former diplomats released an open letter to Chinese President Xi Jinping calling for the release of Mr. Spavor and Mr. Kovrig, and saying their detention has raised concern that serious research and diplomacy are becoming “unwelcome and even risky” in China. Now, China has singled out those signatories, with Ms. Hua accusing them of “deliberately creating a sense of panic,” and shading the truth. “If they don’t have this minimum level of honesty, how do they carry out their duties in research? Can we trust that their research results will be factual?” Ms. Hua asked. In attempting to mount pressure on China, they have shown “disrespect for China’s judicial sovereignty and the spirit of the rule of law,” she said. “By openly yelling at China and demanding the release of the two Canadian citizens under the lawful investigation of relevant departments, [the letter’s signatories] have interfered with China’s sovereignty,” Ms. Hua warned. He was nonetheless disappointed. “Instead of engaging with the core issue raised, the innocence of the two Canadians, Ms. Hua resorted to Orwellian language to blame the signatories,” he said. In China, anger at Canada springs from a belief that Ms. Meng has been swept up in a political exercise of justice directed at a national corporate champion. Huawei Technologies Co. Ltd. has become a technological giant not only at home but also abroad, sourcing half of its revenue from overseas, a success that has made it a flag-bearer for the country’s global ambitions. Chinese officials have seen Ms. Meng’s arrest as little different from the broader effort, led by top intelligence figures in Canada and its allies, to block the installation of Huawei’s fifth-generation cellular technology on the grounds that it could pose a threat to national security. Calling that “nonsense,” Ms. Hua referred to online commentary saying “the U.S. and Canada are now so obsessed with suppressing China’s hi-tech companies and so worried about Chinese companies’ spying activities that it suspects that China-made forks might be used for spying purposes.